If you have seen my previous posts on Anasazi Beans then you know I am a huge fan of the heirloom bean. Although we typically allow them to dry right on the vine and then use the beans as you might use pintos or black beans, I recently learned that Anasazi green beans are another delicious option! Papa Bird has Anasazis growing as vines along our bottom fence, but discovered a gopher had eaten the roots off of one of the plants. Since the plant was on the verge of toppling over, he picked them for use as Anasazi green beans! For a recipe for the most delicious veggie burger ever, the legend of Anasazi Beans, and more on victory gardens, see my post on Anasazi Bean Burgers. And for more growing tips on Anasazis and a recipe for a twist on a Southern holiday classic, check out Anasazi Bean Hoppin’ John. 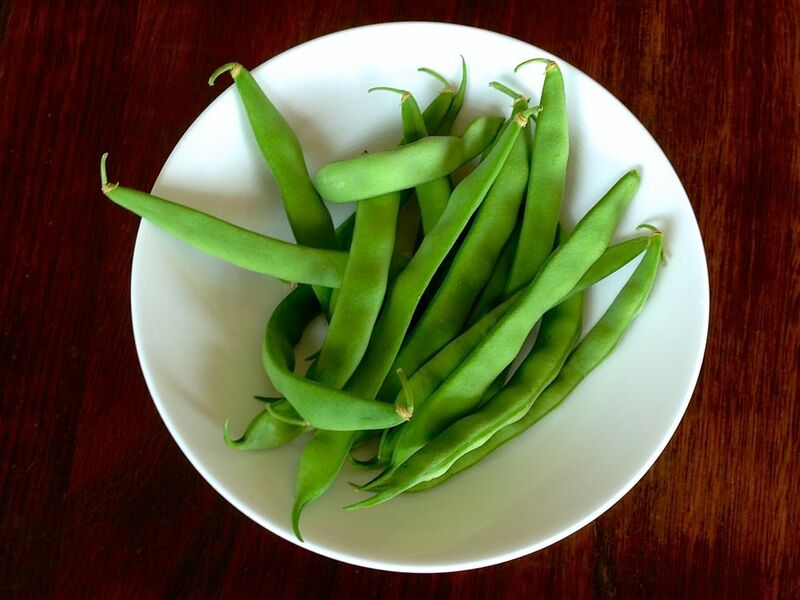 Can you recommend a recipe for Anasazi Green Beans? We usually cook green beans simply, and Little Bird loved to gum them as one of her first “holding” foods at 8 months. But please tell me, what are your favorite recipes for green beans? This entry was posted in Recipes from the Garden, Urban Agriculture, Urban Homesteading and tagged baby led weaning, easy farm to table, easy seasonal cooking, easy seasonal recipes, farm to table, Garden tips, meals for the whole family, Urban Homesteading, vegan, vegetarian, victory gardens. Bookmark the permalink.